I might not be going to any festivals this year but this outfit makes me feel like I should be! I had a bit of a summer clothes haul in Forever 21 recently and this jumpsuit was one of my purchases alongside a stunning maxi dress. 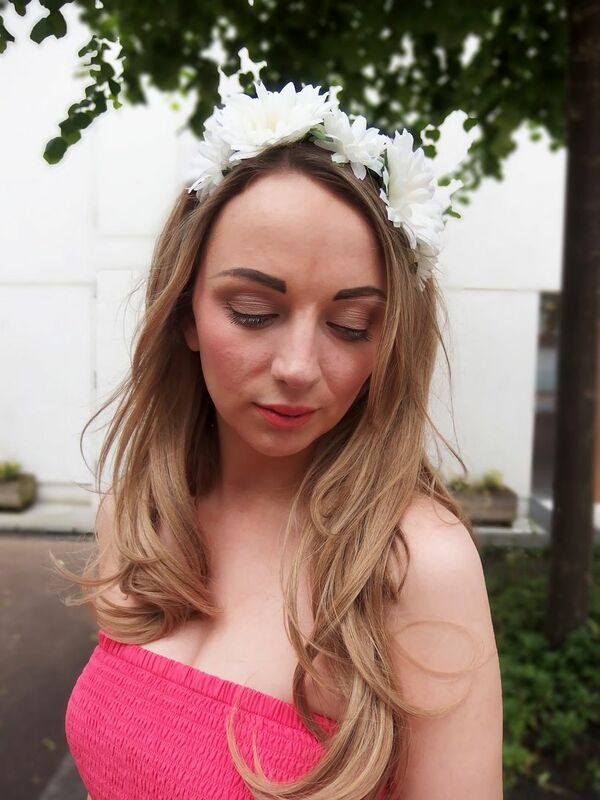 I loved the jumpsuit as the colour is a lovely coral and perfect for summer. I like the wide legs and the bandeau ruched style means there won’t be any tan lines. I am a bit obsessed with wide leg jumpsuits after trying on one in Hobbs recently, I couldn’t quite justify £300 for a jumpsuit so decided to go for this version instead. They legs are pretty flared so it has a real seventies feel to it and for £15 it was a total bargain! I teamed the jumpsuit with my new Steve Madden sandals which you can’t quite see as the legs on this are really long on the jumpsuit and also a daisy headband which I picked up in H&M. 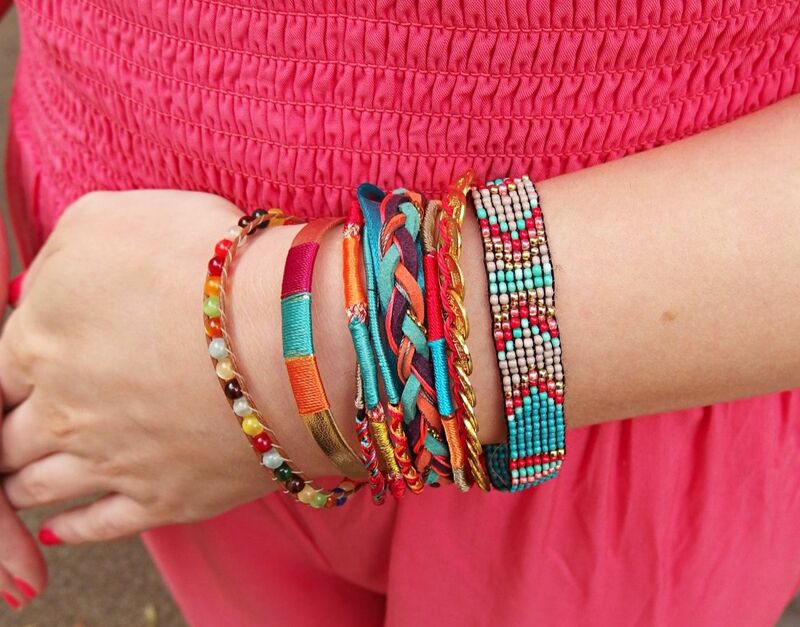 The bracelet is from Hipanema, I love the way it creates the feel of lots of bracelets together when it’s just one. Now you may be thinking wow her hair has grown really fast! Well I’m actually wearing a weave, for an extra seventies vibe although I feel more like Cheryl Cole or something! It’s from Beauty Works and it is so easy, you just slip it into the back of your head with the two comb bits attached and that’s it! I got my colour matched by the girls there who did a great job just from a picture, it wasn’t quite exact at the roots so with the headband it covers that up nicely. It’s synthetic but looks pretty realistic I think and comes already styled. I think it’s great for creating a totally different look. I’m not the best with hair extensions and always wondered about the headpieces, I found this much better and it’s so super easy! Love love love that jumpsuit. You look amazing. Perfect for a day like today.